I currently own twenty-five tubes of mascara! I know I should be ashamed of myself for being so gluttonous with the magic wand that is mascara–because who needs twenty-fives of ’em–but I’m not! (“She works hard the money!”) And to my credit, some of them are some months old and probably should be thrown out… (dun dun dun). The last two I purchased were Clinique’s High Lengths Mascara and NYC: New York Color’s Big Bold Angel Lash. Whenever I’m about to start my war paint routine, or putting on the face, I think I look most forward to applying mascara. I love, love, love lipstick and its a very second close that’s edged out as BAE before but then again…I will spend my last fifteen dollars on a new mascara, whether’s it’s a holy grail or a new one on the market. And there’s always a new mascara being released. Even as once fresh formulas suddenly become standard and oddly shaped brushes are the norm to getting even the tiniest of lashes, I want to try them all! And I don’t discriminate. I’ve bought and worn wands that cost $34 (#nocomment) and others that were $2.99 (hello NYC: New York Color City Curls!) For those that are not fellow makeup addicts, the first and only question they ask is what’s the difference? What’s so different about an Armani Eyes To Kill versus a Maybelline Mega Plush Volum’? I’ll be honest. Sometimes, there really isn’t a difference. But I’m also not of those one-coat of mascara wearers. I will place six coats of Eyes To Kill and then use another brand with likely a disparate brush to fully define my lashes as much as possible. Aside from that, I obtain no other excuses for my mascara obsession. But rest assured, I am taking a break as I believe I do own all that I’ve wanted at the moment. I am as of now trying to ignore that fact that M.A.C.’s Haute and Naughty and YSL’s Shocking mascaras are also calling my name (rinnnnngggggg). Josie Maran Argan Black Oil Mascara ($22) I was intrigued by the inclusion of the ingredient of argan oil and I liked the bushy brush that instantly gave a bright-eyed look. Charlotte Tilbury Full Fat Lashes ($29) I wanted this mascara so bad when I first tried it and eventually bought it from Bergdorf Goodman. It’s good for a natural look, but I often use it to layer with another. I just like CT’s stuff. I was most excited about owning one. It is a little underwhelming. Kevyn Aucoin The Volume Mascara ($28) Aucoin is one of my fave MUAs. He sadly passed away in 2002, but his posthumous makeup lines continues on. It’s exclusively sold at Barneys New York and it was recommended I try the Volume Mascara since I like big lashes. The brush is interestingly skinny and the formula is inky. You gotta apply this one slowly however. It can easily get clumpy. Giorgio Armani Eyes To Kill Mascara ($32) This was another one that I had to have. The brush is bushy but is another eye-opening wand. Rimmel London ScandalEyes Kate Moss Mascara ($5.99-$7.99) This limited edition Kate Moss version of the original Rockin’ Curves wand is super cute and gives you a lifted look with decent amount of volume. You often don’t need to layer with this one. Tarte Lights, Camera and Lashes ($20) Another winner from the brand Tarte. This semi-skinny wand totally delivers. It’s soooo good! Very glam. 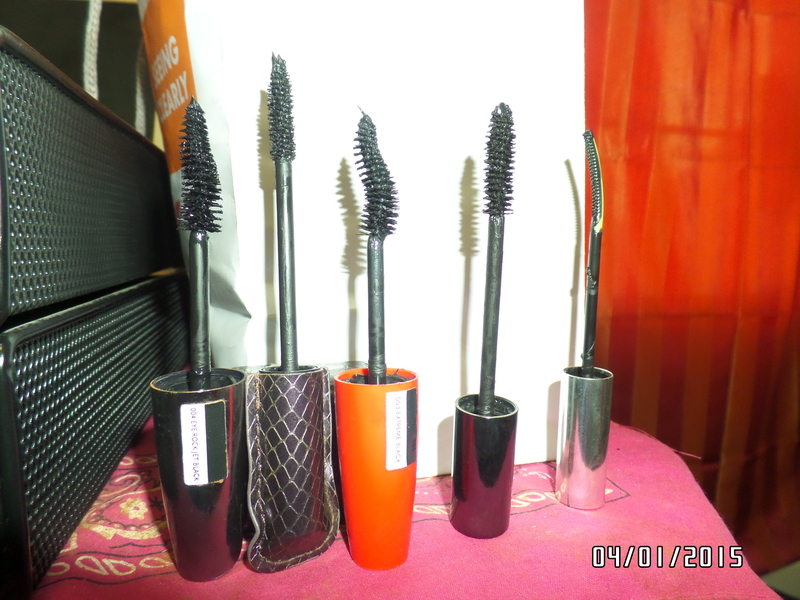 Rimmel London ScandalEyes Rockin’ Curves ($5.99-$7.99) I hesitated to try this one from Rimmel at first because their mascaras can be very hit or miss. Like I loved their Lash Acceralator but their original ScandalEyes was a hot mess to me. This one however, I really liked. The “odd” shape of the brush is described as half of a broken-heart (sad face) but gives you that coveted juxtaposition of looking demure yet coquettish. Urban Decay Perversion Mascara ($20) Ooooo! This mascara totally lived up to the hype. 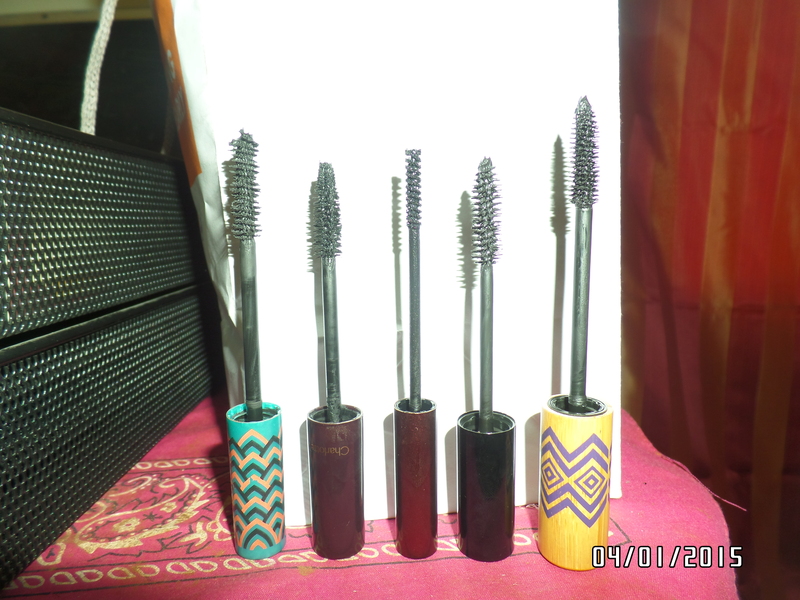 You will definitely get big and bold lashes but it can get overly inky and clumpy, so apply steadily. Even use a lengthening brush to spread the formula. But this one is awesome. Clinique High Lengths Mascara ($16.50) One of those products that I bought on the spot. All of Clinique’s mascaras were lined up together on display. The skinny swerve of this brush caught my eye. I tried a little on my bottle lashes and was sold. I would still layer with another for top lashes but this one is fun. Maybelline The Rocket Volum’ Express ($5.99-$7.99) Yes, these wand will rocket your lashes to volume land. It’s a bit of a compact comb but one of the best mascara combs in that the formula is evenly shared amongst lashes. 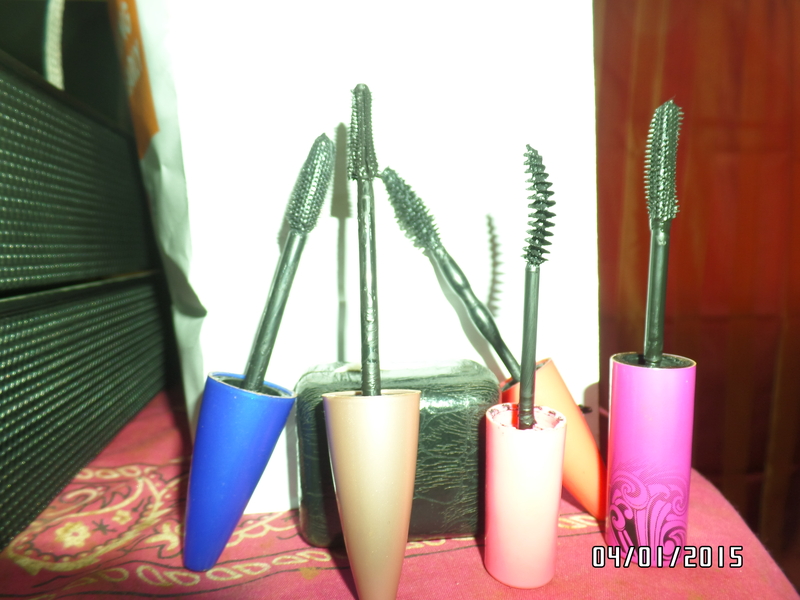 For extra effect, use a lengthening or separator like Cover Girl’s Clump Crusher (the best layering mascara ever BTW). Maybelline Lash Sensational ($5.99-$7.99) Sidenote: this packaging reminds me of Ally McBeal. But anyway! This has a curved, slanted comb and is perfect for a minimal makeup look that you can rock with a softened cat-eye. Maybelline Great Lash Curved Blackest Black ($5.99-$7.99) I bought the brand’s famed Great Lash only once because I didn’t see the hype about its delivery, but I have liked some its variations, such as the Curved brush. I never use it by itself but it’s good for bottom lashes and touch-ups. Maybelline Pumped Up Colossal ($5.99-$7.99) I consider this one to be pretty underrated from the Maybelline mascara catalog. It’s really good for volume and the brush is just big enough to not overwhelm your lashes. Hard Candy Lashaholic ($5.60) First off, this one is sold exclusively at Wal-Mart, so yes, I had to travel out-of-town to get it. It’s similar to Lash Sensational in that’s small and slightly bended. It’s the cheaper by the few dollars alternatives to Maybelline.